The pub investment market around the country is running hot, attracting plenty of offers from owners hoping to sell for top dollar. A freehold in South-East Queensland, around 65 kilometres West of Brisbane, has come on the market with a $6.2 million price tag boasting an inviting property investment yield around eight per cent. 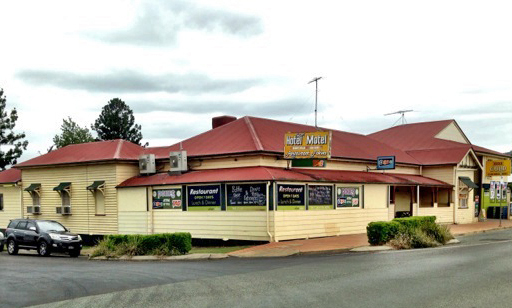 The Club Hotel Motel in Lowood is being offered through Ray White’s Tony Bargwanna and Christian Tsalikis, who suggest it is certainly a strong investment. “The rent is half-million a year, but the operator is smart and has a stranglehold on that area,” Tsalikis told PubTIC. Located on a modest block the pub would not seem to be a good candidate for expanded development, but does come with 11 motel rooms and a manager’s residence at a time when affordable accommodation option are becoming more profitable. “The Queensland pub market always presents good opportunities for savvy operators and investors,” said Tsalikis.